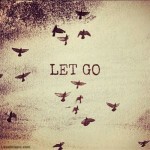 10 Things You Need To Let Go Of … Right Now! We all end up holding onto things that we need to let go of for various reasons. Maybe we need to let go of an old belief that does not give us the results we want or no longer serves us. Maybe we need to let go of a job that holds us back from bringing our optimal value to the workplace. What ever it may be … we probably all could stand to let go of something in our lives. Old beliefs about self-worth, money, success, and anything else that is keeping me stuck in a place I don’t like or want to be? My deep seated attachment to a sports team that ruins my day when they lose and makes my day when they win? The idea that I have to make everyone around me happy because if I don’t … I won’t be loved, liked, accepted, etc., etc., etc.? Old friendships, relationships, jobs, careers, that don’t align with who I AM , my values, or are extremely one-sided? The idea, belief, or misconception, that I can change someone? The idea, belief, or misconception that people will change dramatically and when they do … they will be a better employee, leader, partner, or spouse for me? The belief that I don’t know what I want or how to achieve it? The thought that I can go through life without any sadness, hurt, pain, complications, or messiness? Old. unrequited, past, wonder-if, relationships that keep me stuck in the past or dreaming in the future … anywhere but the present? The idea that letting go is ONLY about losing something? One final thought as it pertains to #10. Sometimes the only thing holding us back from letting go is fear and while fear is typically associated with loss it doesn’t represent the whole picture. Letting go is not just about losing something … it is about creating space and alignment with new things, new ideas, new beliefs, and new possibilities so that you have live the life that you deserve. So what is it that you need to let go of? PreviousPrevious post:Finding Purpose, Clarity, and Focus …NextNext post:Part II – 10 Things You Need To Hold Onto … Forever!